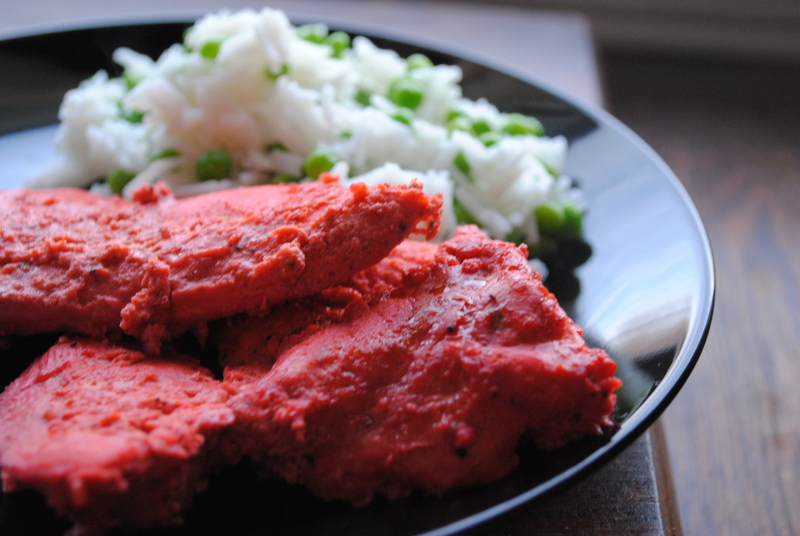 Hands down – the EASIEST Indian dish I’ve ever made!!! Here we go with the delicious recipe! Blend the lemon juice, spices and sour cream. Marinate the chicken in the spice and yogurt blend overnight. Spray a cookie sheet with cooking spray and place chicken pieces on in a single layer. Preheat oven to 425 degrees F. Bake chicken for 30 – 40 minutes turning once during cooking time. Serve with Basmati rice and peas.